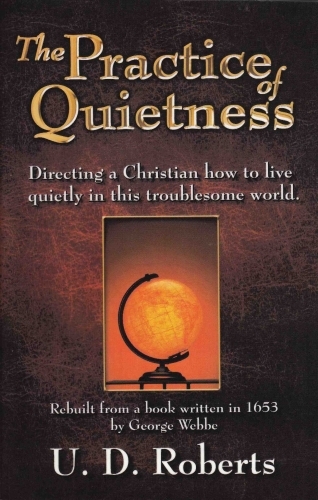 The Practice of Quietness, Directing a Christian how to live quietly in this troublesome world. Each generation thinks the social ills and problems are unique to them. That is not true. Bishop George Webbe wrote about many of the issues we are facing today, breakdown of the family, civil government and many of our other institutions. He presents a Biblical remedy to the same issues we are facing. His book is restored after 360 years and if read and followed it would make a major impact on our family, church and civil government. As Bishop Webbe exhorts from the Holy Scriptures we should , "...study to be quiet." This quietness does not mean weakness or to acquiesce. Copyright 2000-2019. Brentwood Christian Press. All Rights Reserved.